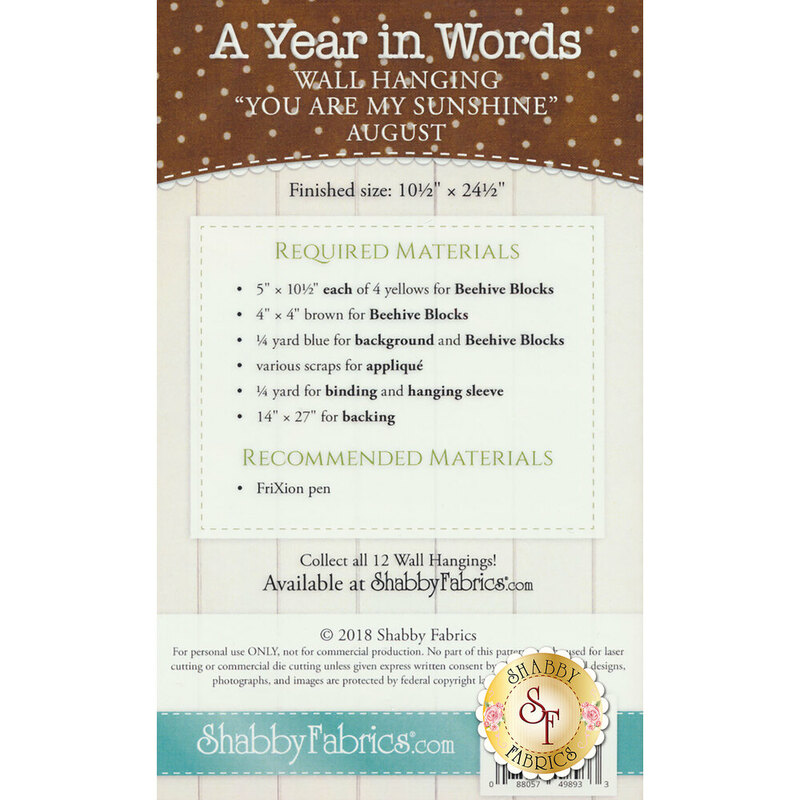 Soak up the sun with the August A Year In Words Wall Hanging! 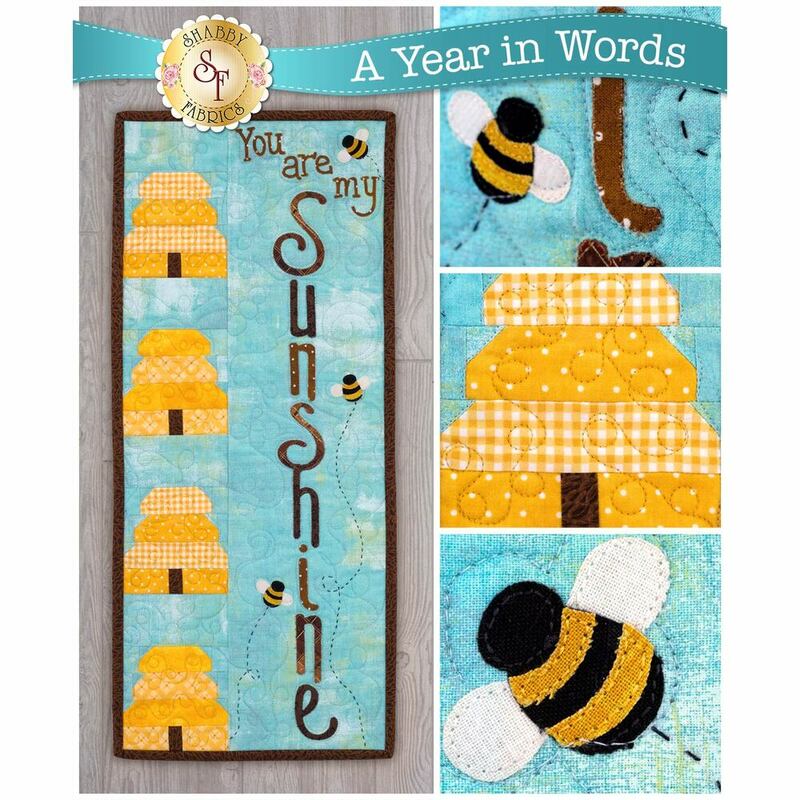 This bright wall hanging features bees buzzing around the phrase "You Are My Sunshine". Make your own wall hanging out of this Shabby Fabrics Exclusive pattern!